Our rifle moose season begins September 24. We have very good bulls available and success rates are high. Most hunters willing to put in the effort, will get an opportunity to take a trophy bull. 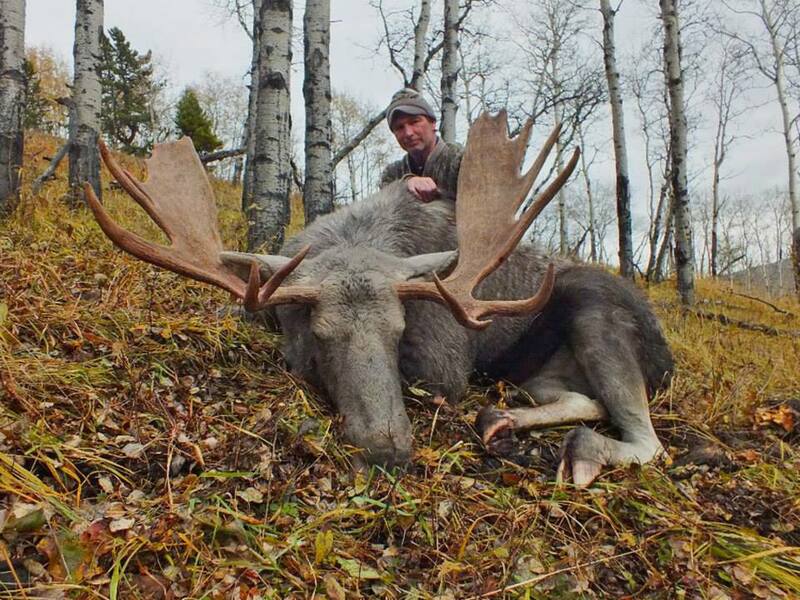 We consider 45″ to 50″ be a realistic goal for our hunters, and 50″+ moose are. Our moose are classified as Shiras moose by Safari Club International, and as Canada moose by the Boone & Crockett Club. This is truly a premium hunt for SCI Shiras moose. 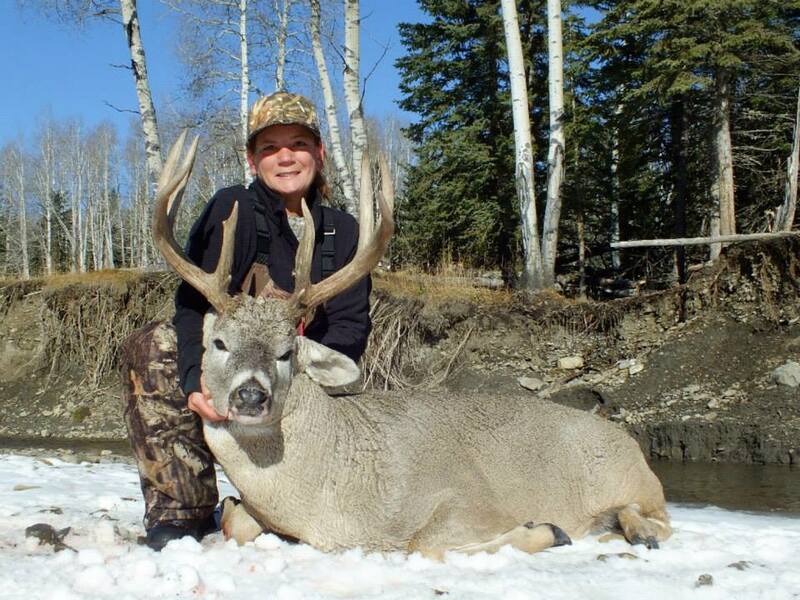 This hunt can be combined with mule deer, whitetails or black bear. The hunt can be scheduled for the peak of the rut. 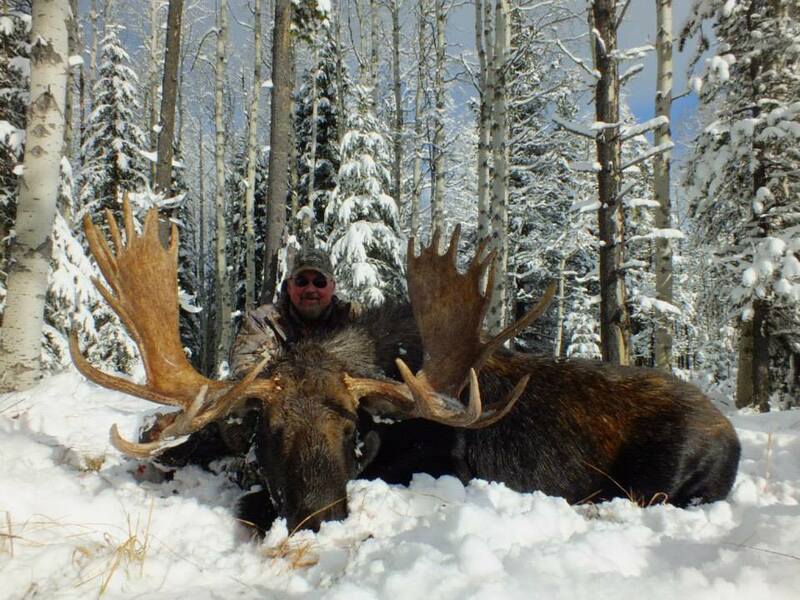 (Calling in a big bull moose is an exciting hunt for sure.) Or, after rut has wound down and the bulls need to feed before winter sets in. The weather can vary a fair bit in October. It can be sunny with temperatures as high as 70F, and if it is cool and damp, we can even see some snow on the ground, though it doesn’t usually last long.